SELECT ONE FROM LIST: Sunday-October 7, 2018 Contact me to schedule a weekday class. SELECT ONE FROM LIST: Sunday - October 21, 2018 Contact me to schedule a weekday class. SELECT ONE FROM LIST: Sunday - September 23, 2018 Sunday-October 28, 2018 Contact me to schedule a weekday class. Questions, comments or special needs; If requesting to schedule a class, let us know what specific day of the week, (Wed-Fri). 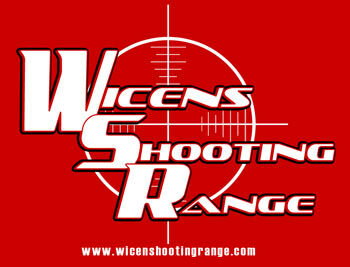 Within a few days following submission of this form, you will receive an email from wicenshootingrange@yahoo.com , with specific class details. Please check your junk or spam mail in case our message is received in that folder. YOU MAY NOT ATTEND IF YOU ARE PREGNANT OR TRYING TO BECOME PREGNANT. IF YOU ARE PROHIBITED FROM PURCHASING OR POSESSING A FIREARM DUE TO STATE OR FEDERAL LAW, YOU ARE NOT ABLE TO ATTEND ANY CLASSES AND ARE NOT ALLOWED ON THE PROPERTY.